This listing is for a Beltfed Precision Products 17.7" 7.62x51 21E / 23E barrel assembly complete with barrel handle assembly. This barrel has a heavy profile, has a 1x11 twist, and is nitrided for durability. 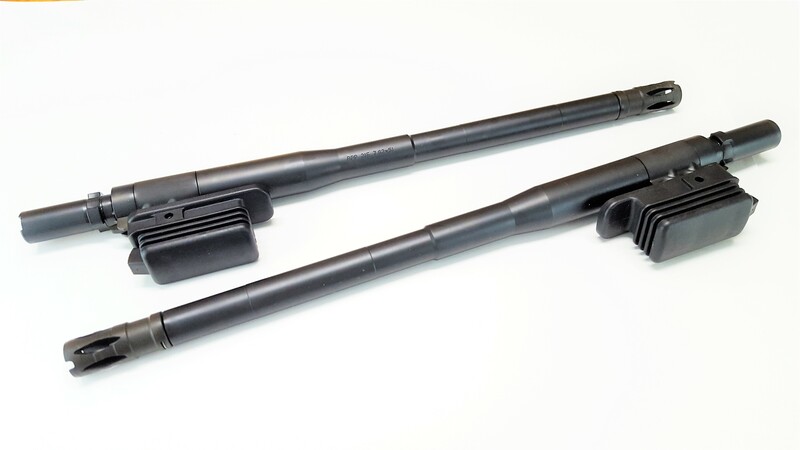 Additionally, the barrel is compatible with the HK23E, HK23EK, HK13, HK13K, BPP23E, BPP23Ek, BPP13, and BPP13K systems.